Cosmetic dentistry treatments can conceal a wide range of aesthetic imperfections and deliver a beautifully balanced smile. One of the most popular cosmetic treatments offered at our Redwood City, CA practice is porcelain veneers. Porcelain veneers are custom-designed to blend in with your natural dental anatomy. They can mask chips, cracks, fractures, discoloration, gapped teeth, and more. Knowing what to anticipate before going through treatment can help you have a comfortable, enjoyable experience. But, how long does it take to adjust to veneers? Our team answers that question here and offers tips for becoming accustomed to your new veneers. Porcelain veneers are ultra-thin, yet super strong. Made from layered tooth-colored ceramic, veneers are bonded to the front surfaces of the teeth. In order to place them, small amounts of tooth enamel must be removed. This not only makes room for your veneers, it also creates a better bonding surface. Why Do Porcelain Veneers Feel Different? Though the amount of enamel removed for veneers is minimal (usually less than 1 millimeter), any small change can feel more significant in the oral cavity. For example, patients who have braces placed also go through a brief adjustment period before they get used to their new appliance. Veneers are similar in this way. 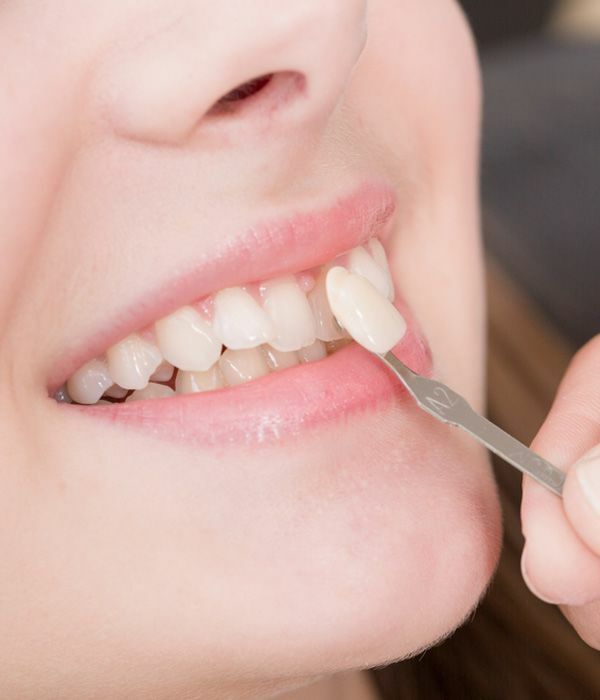 Once the veneers are placed, your teeth may feel slightly “off” or unnatural. It can take some time for your tongue and lips to become accustomed, but rest assured, your smile will feel normal again. How Long Does It Take to Adjust? Most individuals report that their full adjustment to porcelain veneers took approximately two weeks. After this point, your tongue and lips should be more accustomed to how the veneers feel and function. To reduce any speech problems, try to determine which words are giving you the most trouble, then repeat them out loud over and over again. You can even try reading out loud. This typically helps patients become accustomed to their veneers faster. To learn more about porcelain veneers and explore your candidacy for this treatment option, contact our practice today. Dr. Barthman can design a customized treatment plan to meet your needs. You can also reach us by phone at (650) 367-4967.